The Ningxia Hui Autonomous Region will construct high-speed railways to enhance its connection with the outside world, said Xian Hui, a deputy to the Fifth Session of the 12th National People's Congress (NPC) and chairperson of Ningxia Hui Autonomous Region, at a plenary meeting of Ningxia deputies during the annual NPC session in Beijing on March 7. The meeting was open to the media. Ningxia, an inland area located in northwestern China, is one of two provincial-level administrative regions with no high-speed railway facilities. In recent years, Ningxia has achieved a lot in poverty reduction, environment protection and industrial upgrading, but the absence of a high-speed railway still constrains its economic growth. According to Xian Hui, four high-speed railways connecting Ningxia with the outside world will complete construction in the near future. The Yinchuan-Xi'an High-speed Railway, with a total length of 617 kilometers and an investment of 77 billion yuan, started construction last year; the Zhongwei-Lanzhou High-speed Railway, with a total length of 218 kilometers and an investment of 29.8 billion yuan, will begin construction this year; the Baotou-Yinchuan High-speed Railway, 308 kilometers long with an investment of 53.6 billion yuan, is expected to start construction by the end of this year; and the Dingbian-Yinchuan expansion project of the Taiyuan-Zhongwei-Yinchuan Railway is planned to complete construction by 2020. 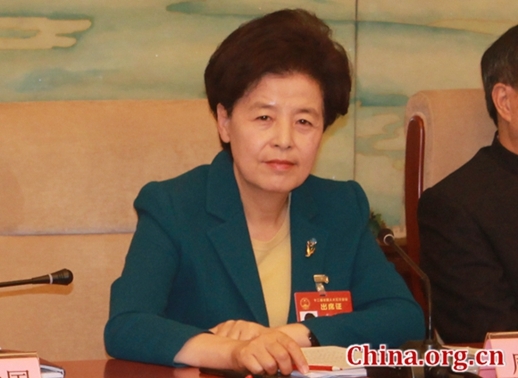 In addition, the Yinchuan-Wuzhong and Wuzhong-Zhongwei Interurban Railways will be constructed and the Guyuan-Zhongning expansion project of Baoji-Zhongwei Railway will be launched so as to establish a high-speed railway network connecting its five cities, she said.